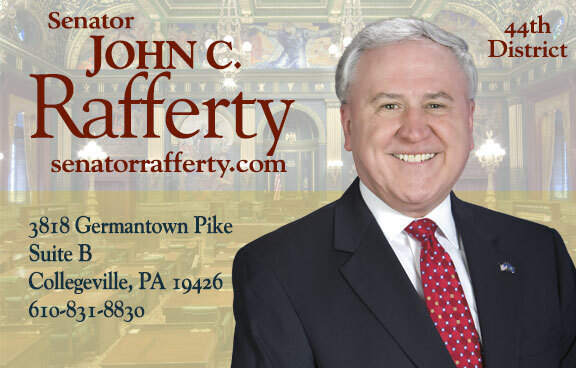 Senator John C. Rafferty, Jr. represents the residents of Pennsylvania’s 44th Senatorial District, which includes parts of Berks, Chester and Montgomery Counties. Senator Rafferty currently serves as the Chairman of the Senate Transportation Committee. Senator Rafferty also serves as the Vice Chairman of the Judiciary Committee and is a member of the Intergovernmental Operations, Consumer Protection and Professional Licensure, and Law and Justice Committees.